This is a quick and easy recipe to make. You can use fresh blueberries if they’re in season, but frozen work great too. Don’t thaw them, just fold in while frozen and they work perfectly. For best results use organic, non-GMO ingredients and enjoy! Preheat oven to 375°F with rack in middle. Butter muffin pan or use muffin cup liners. Whisk together flour, sugar, baking powder, and salt in a large bowl, then whisk in zest. Whisk egg in another bowl, then whisk in milk and butter. Add to dry ingredients and stir with a rubber spatula until just combined (batter will be dense). Fold in blueberries. Divide batter among muffin cups. Stir together sugar and cinnamon and sprinkle evenly over batter in cups. 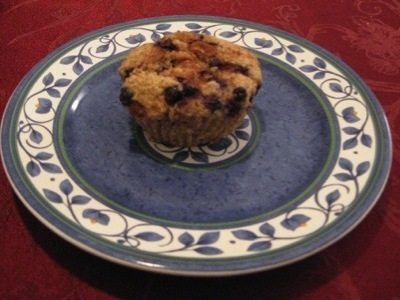 Bake until a wooden pick inserted into center of muffins comes out clean, about 20 minutes. Cool in pan 5 minutes, then remove the muffins from the pan and cool on a rack. Serve warm or at room temperature.